Please click on each breed for specific pricing. All of our chicks are sourced from high quality, trustworthy, NPIP-approved hatcheries - not all hatcheries are created equal, and after raising hundreds of chicks from dozens of hatcheries, we have narrowed our suppliers to a small handful of businesses. 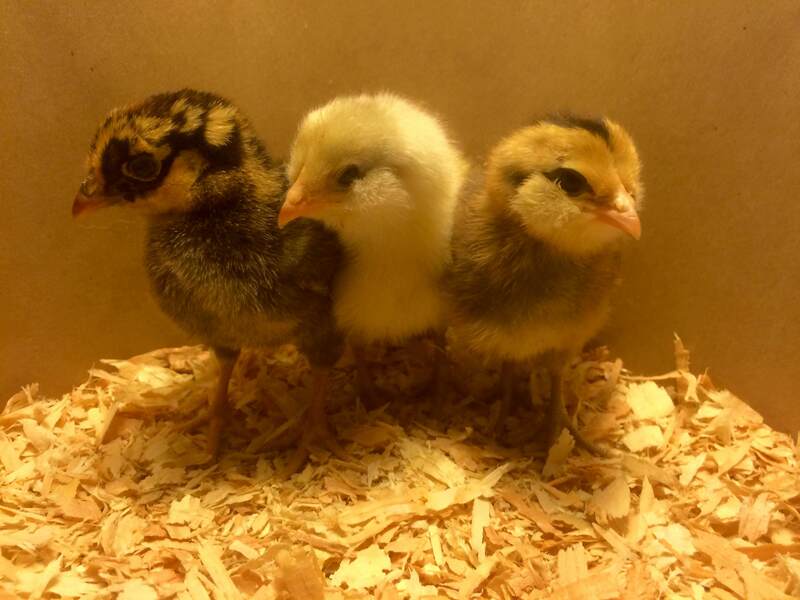 Once our chicks arrive at our facilities, they are started on Bar Ale medicated chick feed and Chick Boost electrolyte supplements to ensure rapid, healthy growth. As a policy, we NEVER sell any chicks for the first 48 hours after receiving them to ensure minimal losses for our customers. Thanks to these precautions and constant, careful monitoring, you can be sure our chicks are healthy and vigorous from day one.